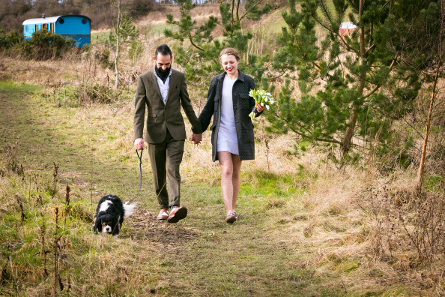 Take a fabulous couple, one dog, an intrepid registrar, two great photographers and a cool February day. Wave a wand of Roulotte Retreat magic and what do you get? 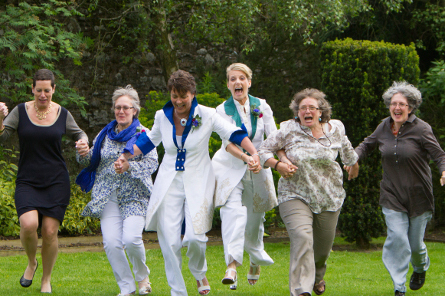 The most lovely, tiny wedding. 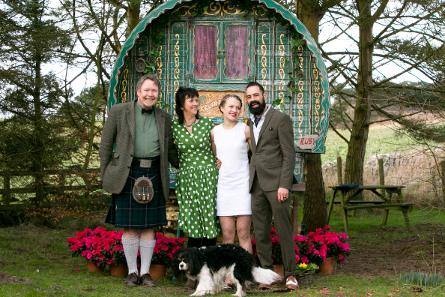 It was a real privilege to be a part of this special celebration for Zulfi and Greta who travelled up from London to elope in the beautiful Scottish Borders last weekend. 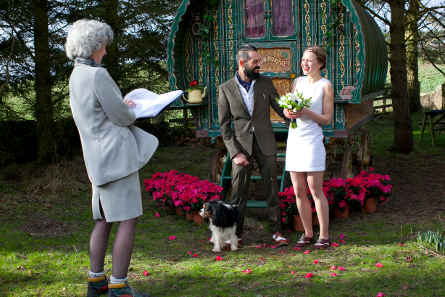 The ceremony took place outside Ruby the pretty bowtop gypsy caravan. 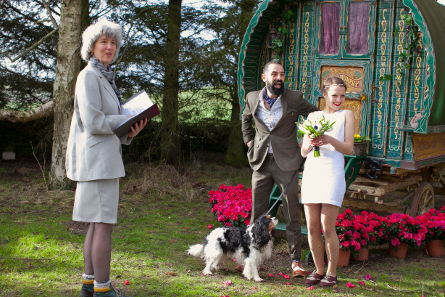 Jane Norman, one of the Borders lovely Registrars, donned her hiking boots and married Zulfi and Greta at midday on Saturday 22 February 2014. 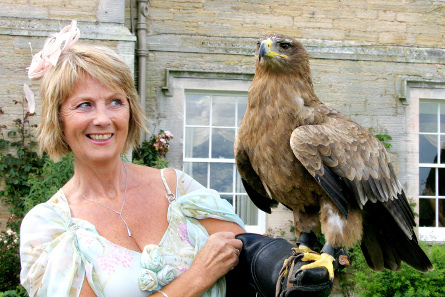 Zeppelin behaved immaculately – apart from one momentary lapse in concentration caused by an approaching chicken. 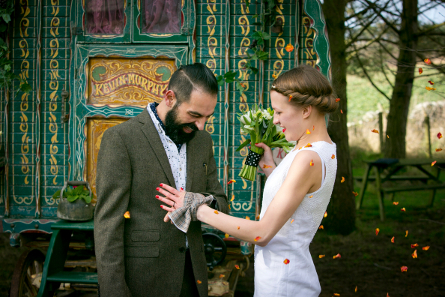 Zulfi and Greta’s hands were joined by tying a piece of tartan in the ancient Celtic marriage ritual ‘handfasting’ as a symbolic way of representing their union as a married couple. …. and Alan and Avril, Roulotte Retreat’s enthusiastic and welcoming owners, were the official witnesses. After the ceremony, the couple posed for pictures on the little jetty in the meadow. 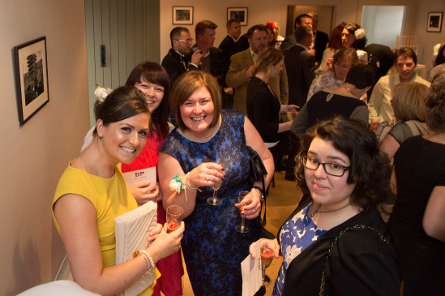 … and then walked back to the Studio for a glass of fizz before departing for a celebratory lunch in Melrose. Why not consider eloping to Roulotte Retreat It couldn’t be easier with a convenient rail link from London to nearby Berwick upon Tweed. 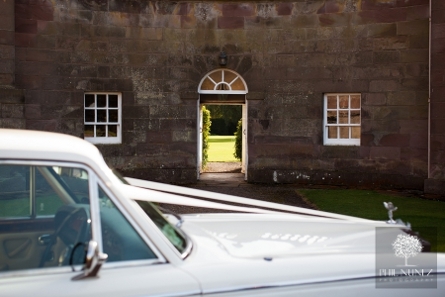 Treat yourselves to fabulous breakfast hampers available from Roulotte Retreat and let us organise taxis, restaurants, a bouquet, photographs and whatever else you might like to make your wedding elopement a unique celebration. 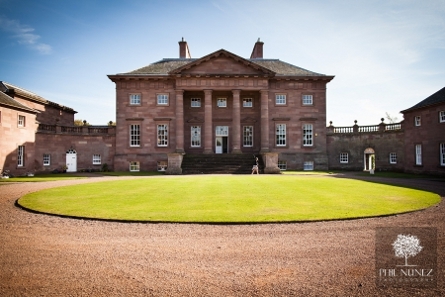 Rest assured you’ll received a warm Scottish Borders welcome at this enchanting place. 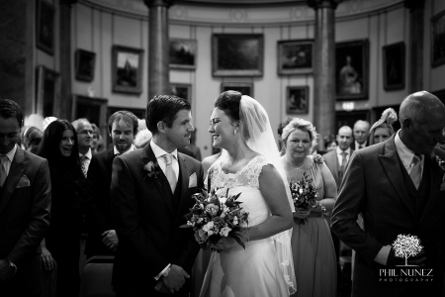 Beautiful images from Lloyd and Alex Aikman Smith from Aikman Smith Photography, Melrose. A wedding wouldn’t be a wedding without a DJ announcing your first dance and guests dancing to your favourite music or cheesy disco tunes. But what can you do when you have your wedding reception at a venue or in a marquee where they don’t want loud music? The answer of course is a silent disco. “What is a silent disco?” you are probably asking. 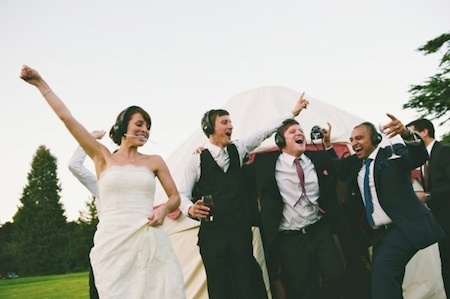 A silent disco is where all of your guests wear a set of headphones to listen to the music being played. This means, no music will be heard by anyone not wearing headphones. 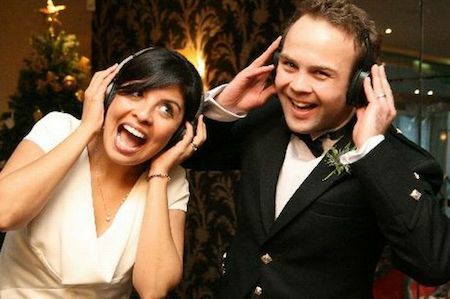 Silent discos are becoming more and more popular at weddings as they bring something different to the occasion and the party doesn’t have to stop just after midnight, allowing newly-wed couples to make their special day last even longer. If you don’t want a DJ, a silent disco can be transmitted from iPods and they can allow you to have multiple music types to ensure all of your guests can enjoy the music. Why have a silent disco? 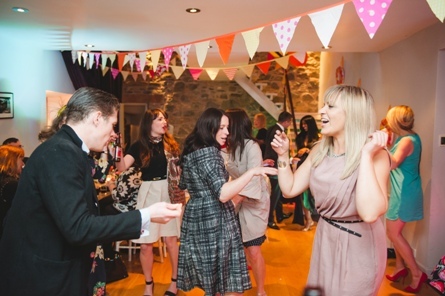 As silent discos reduce the amount of noise, this enables you to hold your wedding reception at venues or places where you would not have usually been able. A silent disco doesn’t mean you have to be quiet, the music simply cant be heard when your headphones are off. Guests will, no doubt, be singing away with their headphones on and you can slide your headphones off when you want a conversation with one of your guests. The beauty is, you wont lose your voice having to shout over loud music! 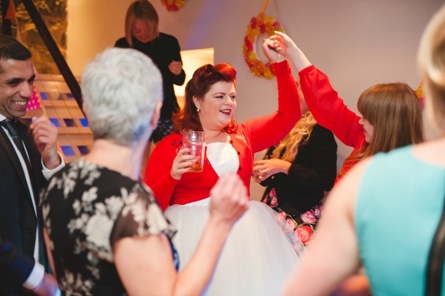 So, if you want something unique and different at your wedding, a silent disco is perfect – the wedding video will be great to watch! 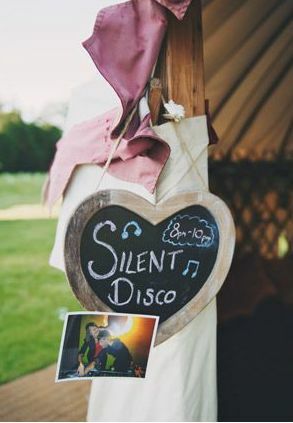 For more information and to enquire about having a silent disco at your wedding, please contact Lindsey on 0791 2200365 or Lindsey@get-knotted.net. 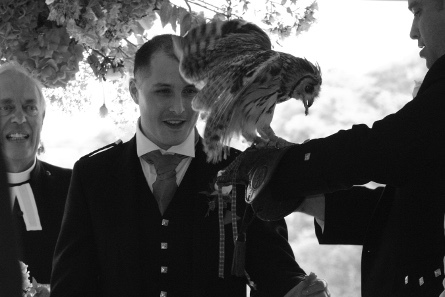 Ring delivery by owl has gained in popularity over the years and we are always pleased to recommend mother and daughter team, Julie and Kylie from Falconry Scotland. For those of you who don’t know, here’s how it works. 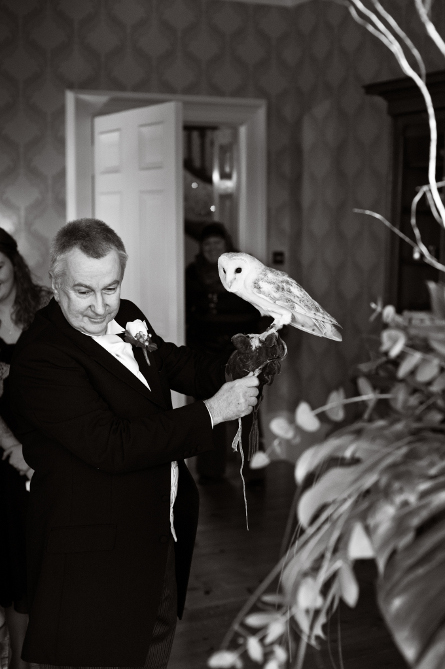 The falconry team arrive at the venue and the Best Man (to whom the owl flies) is given a crash course on how the owl will land and how to hold the bird. 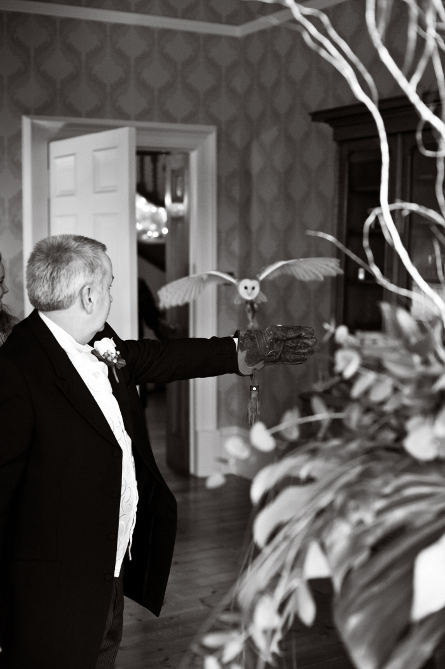 Once the owl has landed, the Best Man releases the rings and hands over to the Groom. Simple! 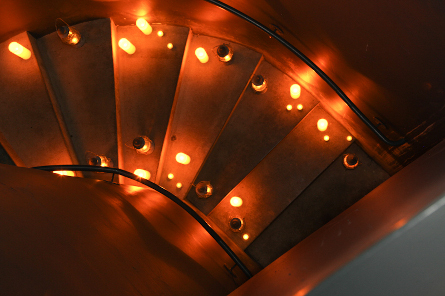 You can get a good idea in the following shots. It never fails to recieve oooooh’s and aaaaaaaaaah’s from the guests. 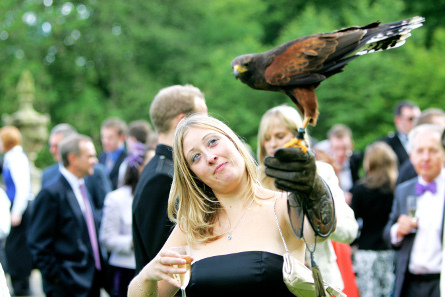 After the deed has been done, the Best Man turns to the falconer and the bird flies back. 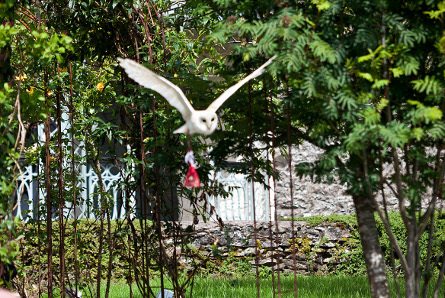 Here you can see the owl with the rings in a small bag. 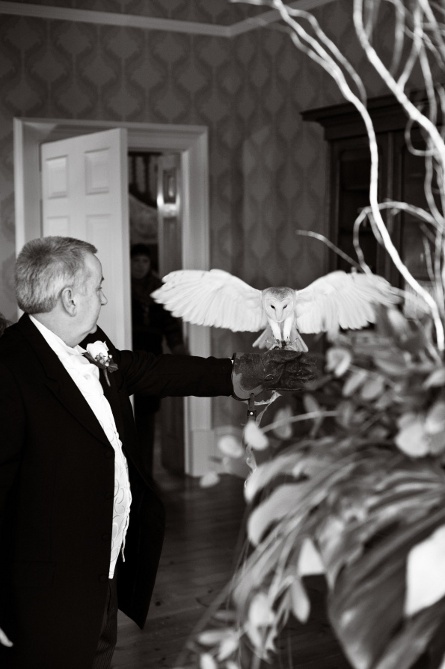 Not only do this dynamic duo provide the most beautifully trained owls, they also do Regal Greetings and mingling with the birds. 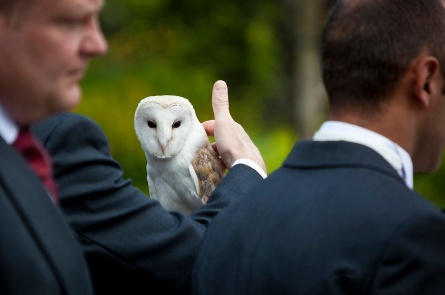 It’s a great way for guests to see and enjoy these lovely creatures during your drinks reception. 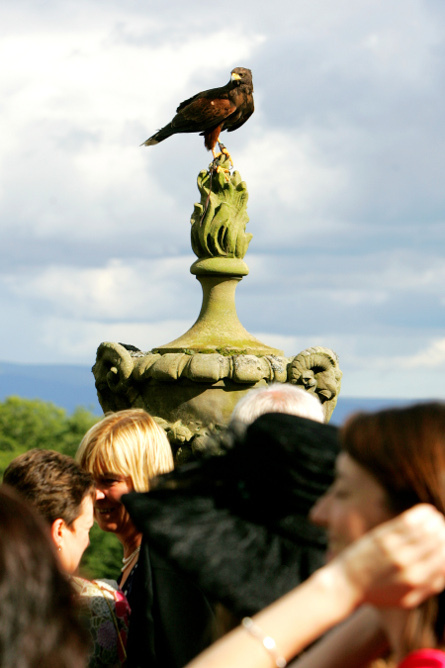 If you would like your rings delivered by these amazing birds, contact Falconry Scotland. Prices from £180. 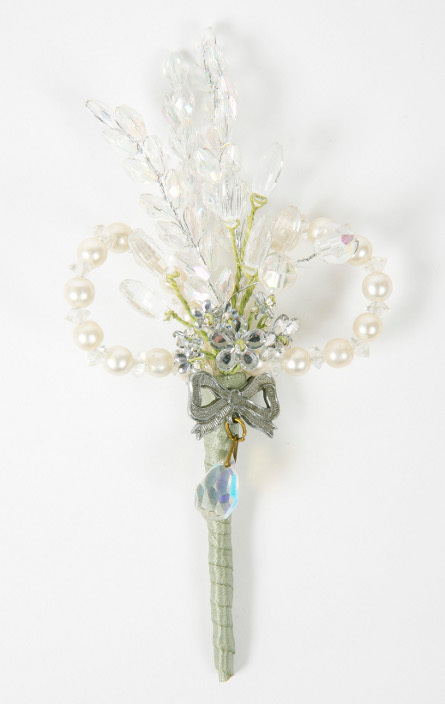 A cascade of delicate fresh flowers has come to be known as shower bouquets within the wedding industry. 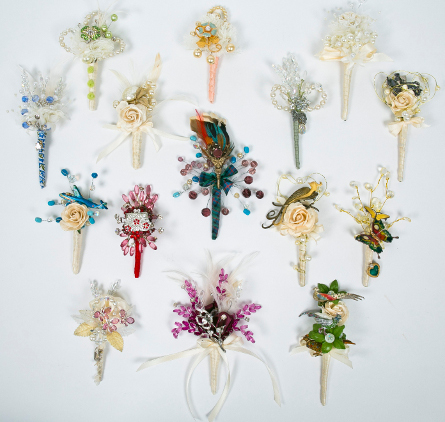 Like a waterfall, shower bouquets flow elegantly from larger or more dense flowers at the top, to smaller flowers as the bouquets taper towards a point at the bottom. 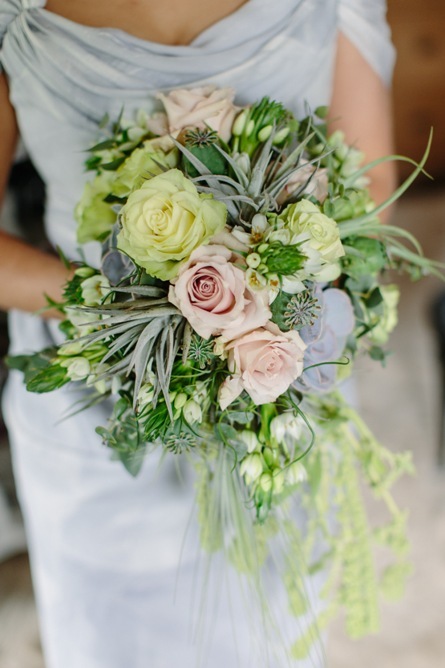 With 2014 set to be a year of colour mixed with neutrals, shower bouquets are also set to be a big trend this year as their additional length allows for combinations of colour with them being longer than traditional round or posy bouquets. 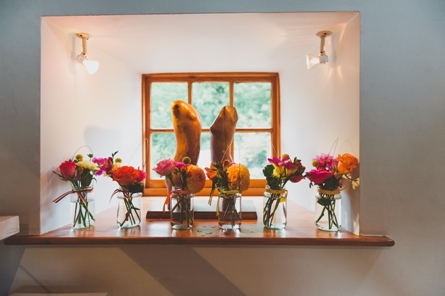 2013 saw a variety of bouquets and shower bouquets were growing more popular. 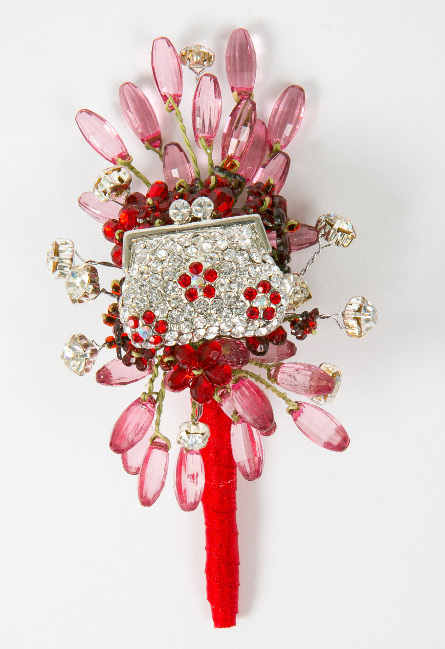 2014 will see more unusual and wilder shower bouquets. 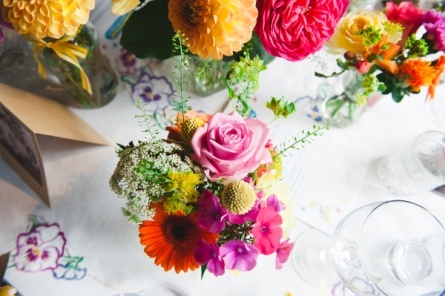 They won’t be as symmetrical and perfect, using foilage and flowers which are more rustic. 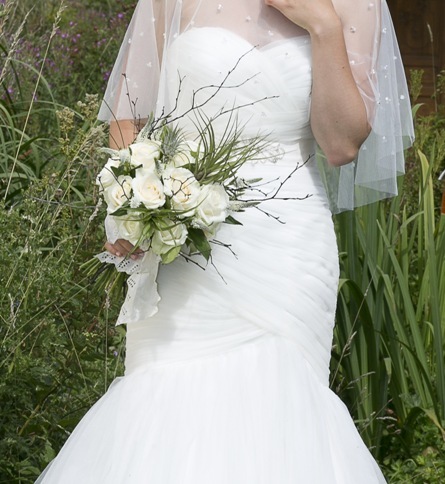 Brides will be going for lose, trailing bouquets, incorporating asparagus ferns, ivy and flowers which have around for a long time such as carnations, dahlias, poppies and chrysanths to make them look more interesting. 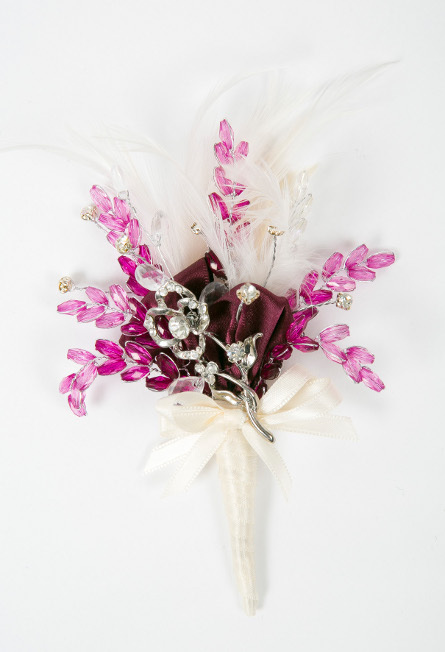 Bouquets will have a 1930-1940’s feel to them as back then, when money was scarce, brides used what they could grow in their garden, giving them a more homemade, humble feel. 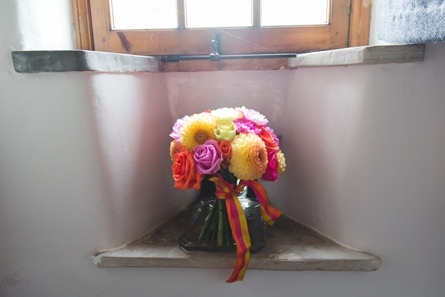 Shower bouquets enable brides to show a bit of their personality. 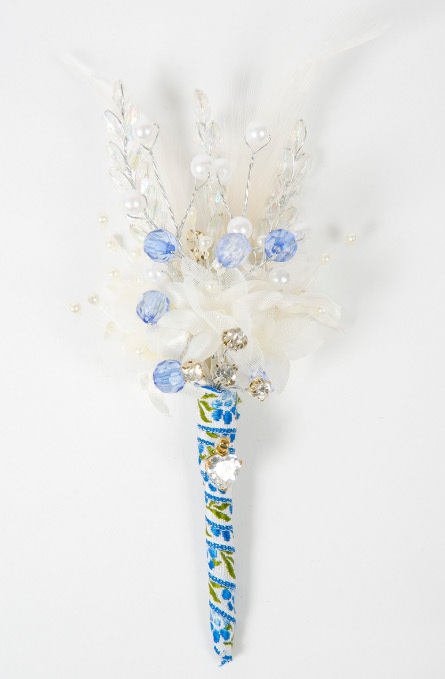 Add coloured ribbon or lace around the stems to match your wedding theme or dress. 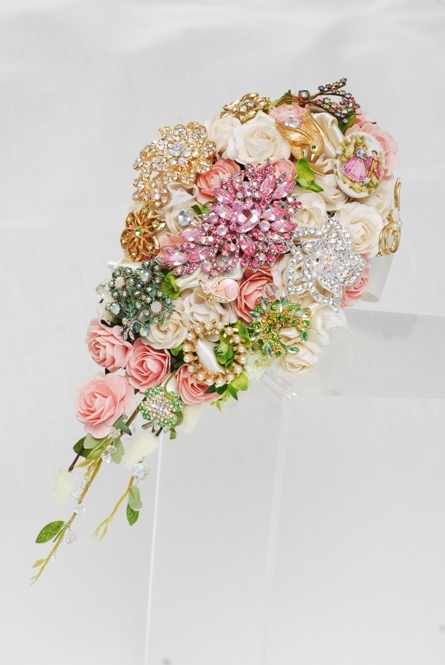 If fresh flowers aren’t your style, go for a shower brooch bouquet and incorporate family heirlooms and your favourite pieces of jewellery. 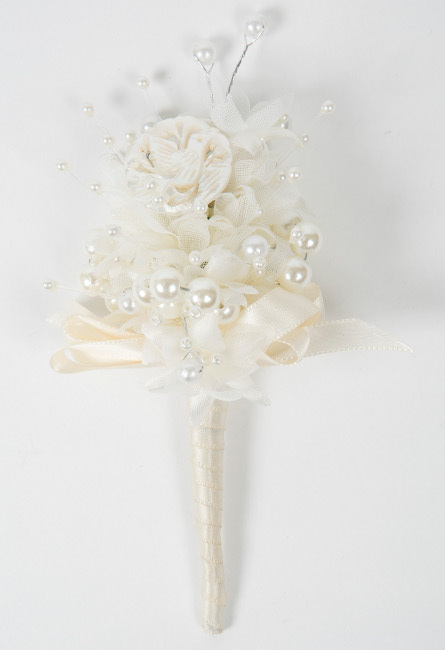 For more information about shower bouquets, contact us on 07912 200365 or email lindsey@get-knotted.net. 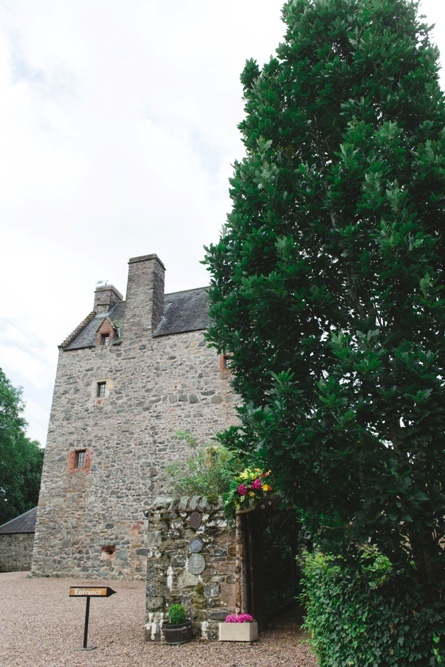 Gunsgreen House is an inspired place for a wedding and if you are looking for somewhere unusual to hold your evening party celebrations, take a closer look at the cellars. 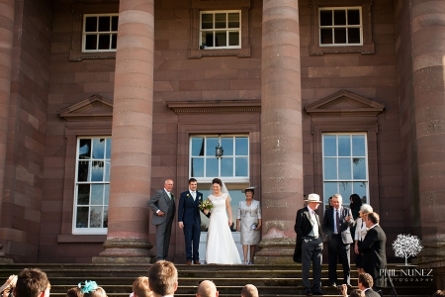 During the day the beautiful light and airy ground and first floor reception rooms are used for ceremonies and meals and in the evening – follow the stairs down …..
…. to a really cool space for partying. 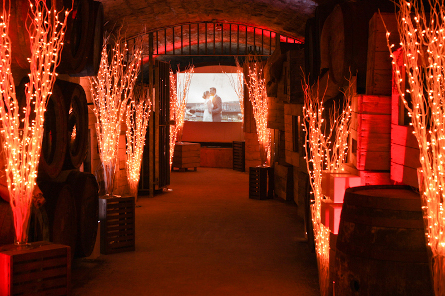 We added lots of twig lights and subtle uplighting throughout cellar one to create warmth and drama. A large screen can also be set up at one end of this area and there’s space for a band or DJ. 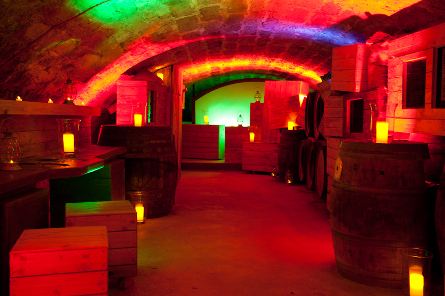 Bold colours and rechargeable candles in glass hurricanes transformed the second cellar into a great chill out area. There’s plenty of space for a bar too. 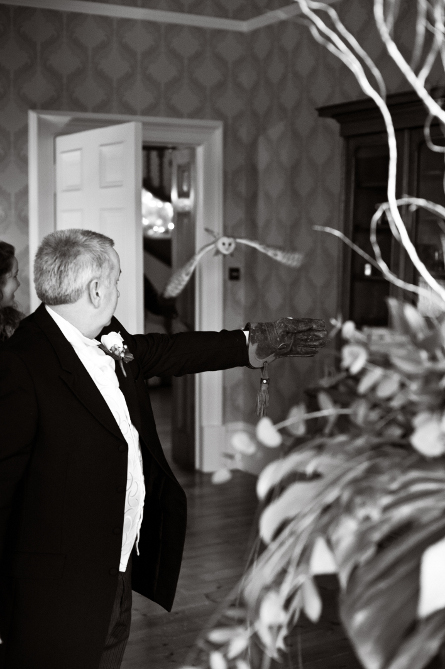 Fabulous images courtesy of Sarah at Pictorial Photography. 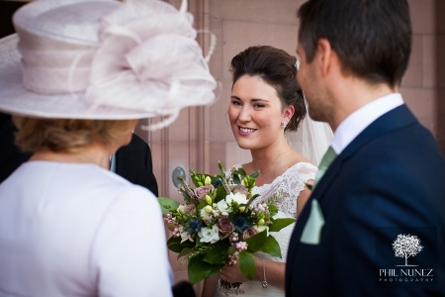 Contact the helpful team at Gunsgreen for more details about booking your wedding. 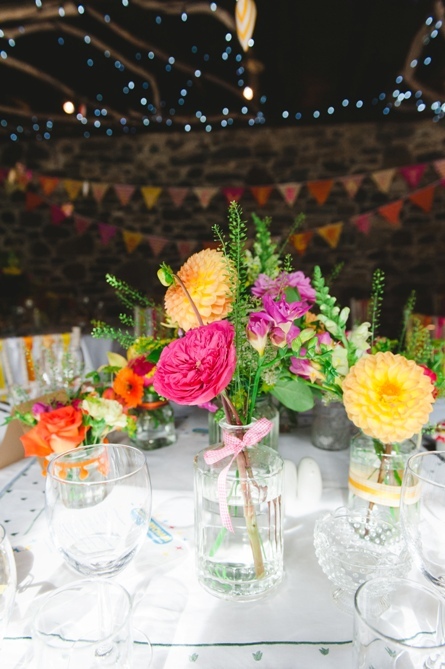 Bright and bold colours have been a huge trend this year. 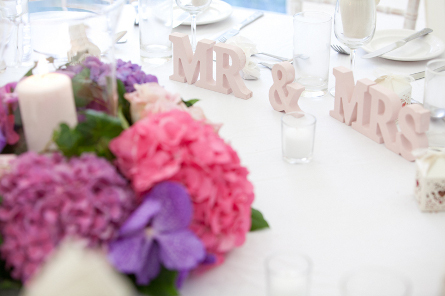 Couples have been able to express themselves and their styles through the use of colour in their wedding themes. 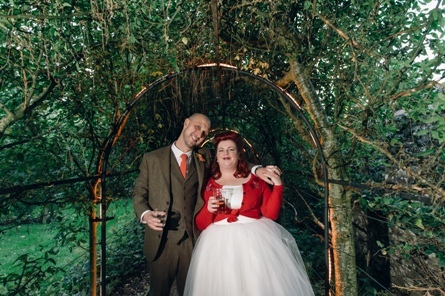 Back in September a wonderful, bubbly couple, Fizz and Denny, got married at the beautiful Aikwood Tower. 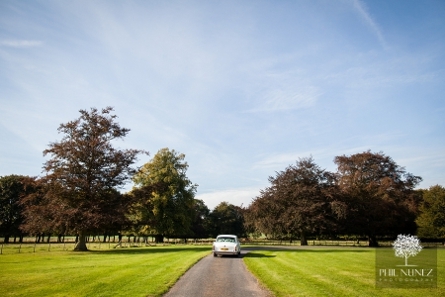 Aikwood is the former home of Lord Steel and now owned by his son Rory and wife Vicky. It’s located just 40 miles south of Edinburgh. It’s filled with history and surrounded by stunning landscapes. 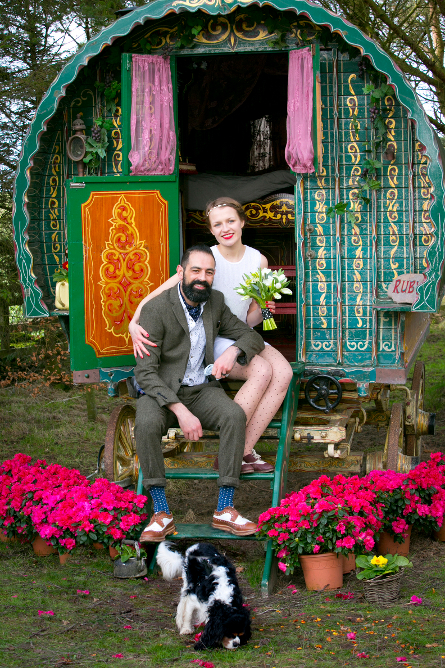 As Fizz and Denny are both very creative, they wanted to put their skills to use on their wedding day. Fizz made almost everything! 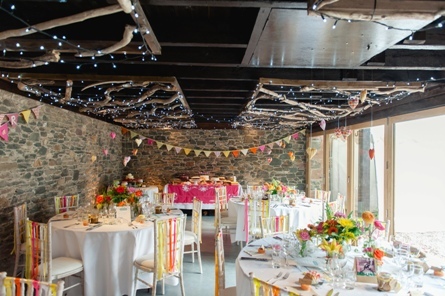 Adding Fizz’s love of colour to their special day, Fizz and Denny chose to use a palette of pink, orange and yellow – how wonderful do these colours look together. 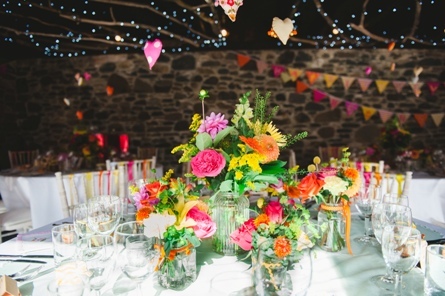 Fizz wanted to incorporate colour wherever she could throughout the venue. 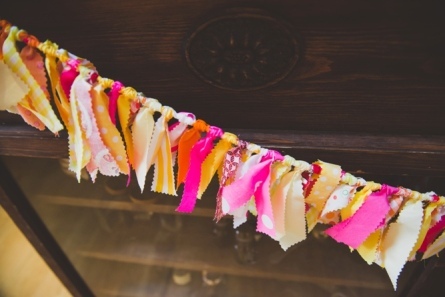 She decided to make lots of pretty, colourful bunting and ribbon decorations, which worked really well to brighten the room and create a vibrant atmosphere. 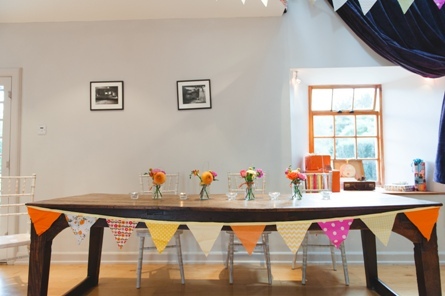 The cart shed, where the couple and their guests enjoyed a delicious three-course meal, was festooned with bunting. 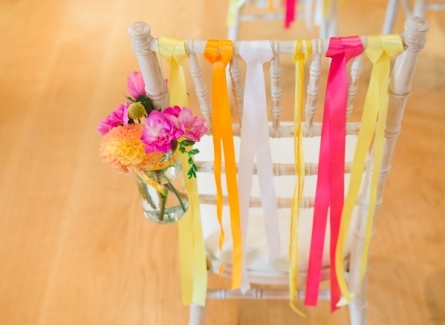 Even the chairs were decorated with ribbons! 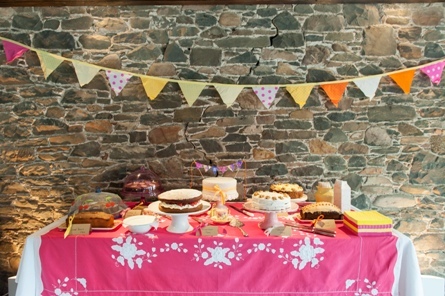 Fizz used more of her creativity to make all of the cakes for the reception – don’t they look delicious! 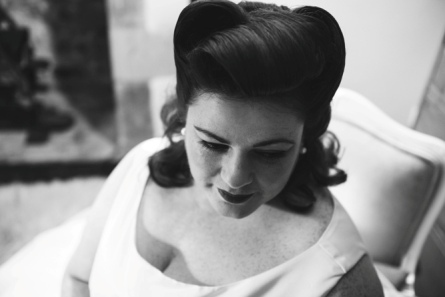 And for the bride herself, Fizz chose to add a touch of vintage to their wedding theme. 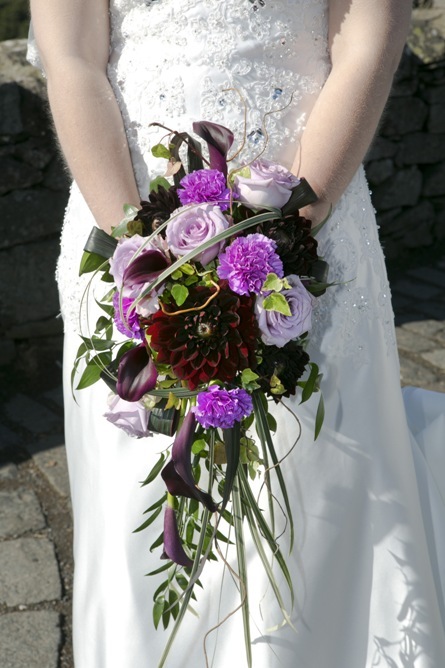 Get Knotted supplied all of the flowers and it was just fabulous using such a vibrant array of colours. 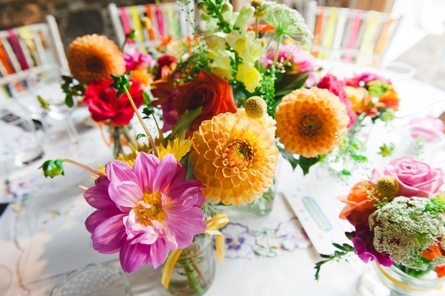 We were really able to experiment with colour and types of flowers. 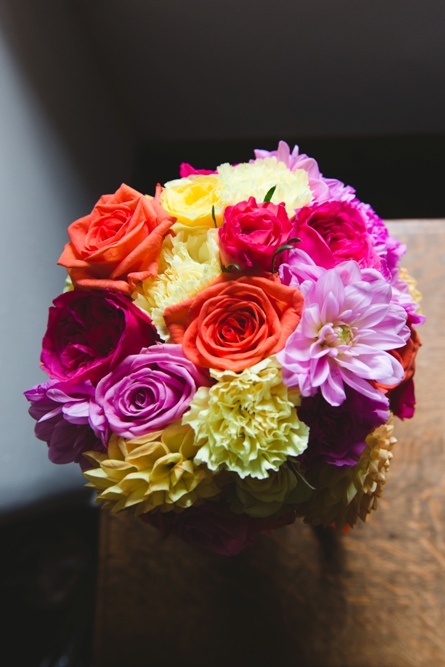 Fizz’s hand-tied bouquet incorporated dahlias, carnations and roses, which are all making a big come back. 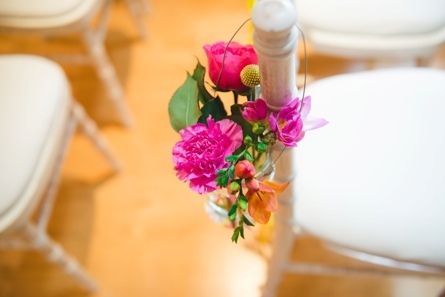 Beautiful, fresh flowers hung in jars on the chairs down the aisle, creating a bold splash of colour for the glamorous bride to follow. These were also displayed around the venue and throughout the cart shed reception. 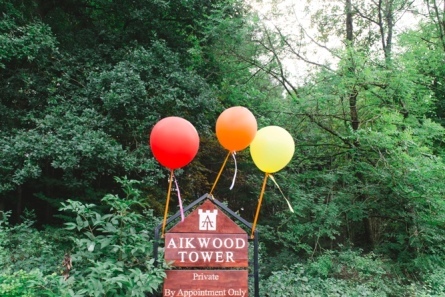 On entering Aikwood Tower, the newly-weds and their guests got to walk through a stylish archway made from silver birch and driftwood created by Get Knotted. 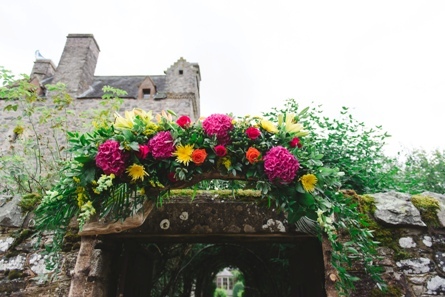 Large blooms of hydrangeas were added to the top and bottom of the archway. 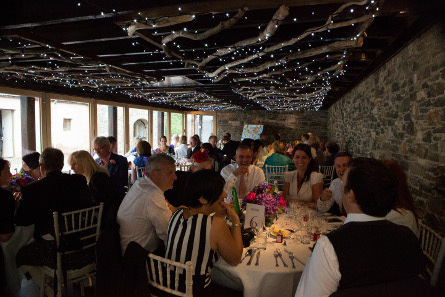 The reception, held in the beautiful cart shed was a fluster with delicate fairy lights on the ceiling, all of which were supplied by Get Knotted. 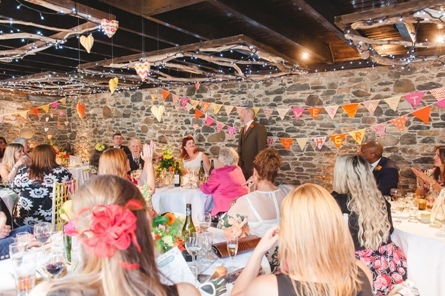 To add an extra touch of romance, the couple hung hand-sewn hearts above each table – really cute! 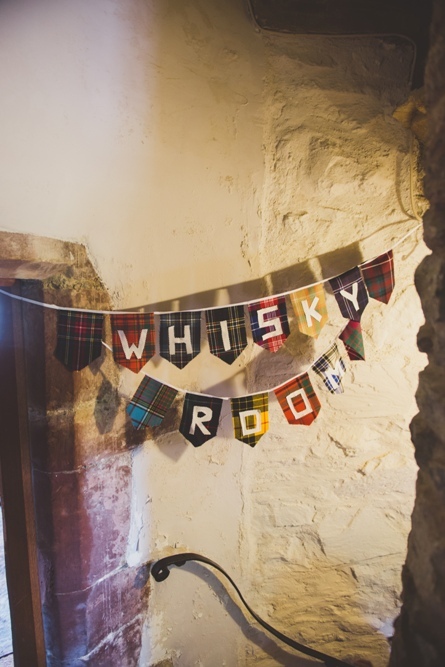 Adding their own personalities and style to the day, Fizz and Denny created a whiskey room: a tiny room off the main spiral staircase for guests to go and enjoy some of the couple’s collection of malts. 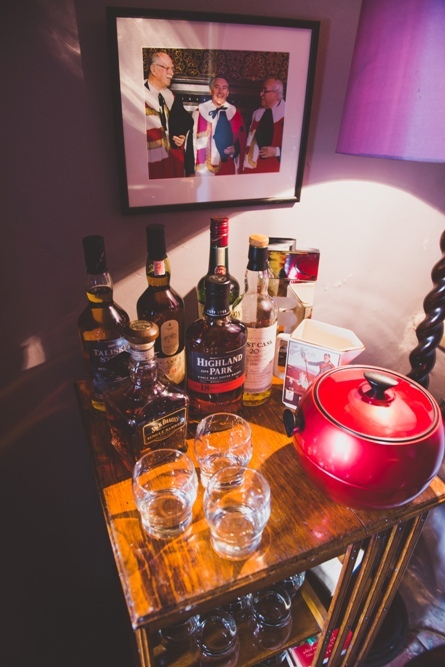 Featuring a wood burner and historic pictures of Lord Steel, this small room made the perfect whiskey den. Continuing the colourful vintage theme, the rustic Aikwood bar was covered in vintage details including original Babysham glasses (we all remember those) and cocktail shakers. 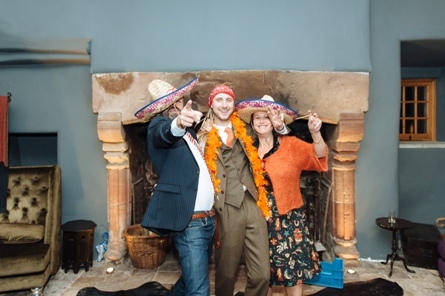 After enjoying their three-course meal, the couple and their guests transferred back to the ancient tower for a party and celebration. 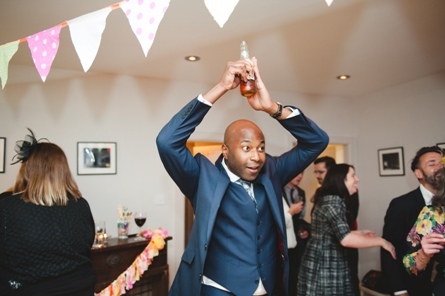 We love these dance moves! 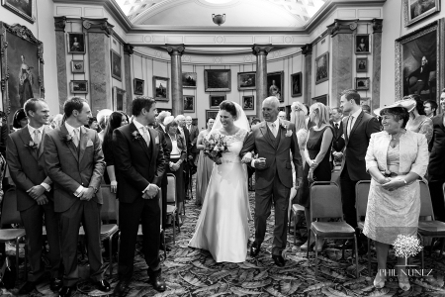 Congratulations Fizz and Denny and thank you for sharing your special day with Get Knotted. Pictures courtesy of Lindsay Parker at www.mackphotography.co.uk. 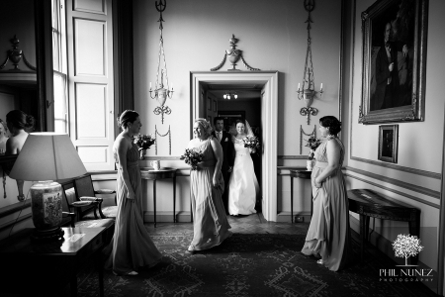 Paxton House, which dates back to Georgian times, is a really fascinating and unique venue for a wedding. 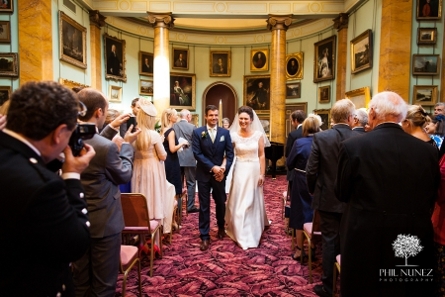 It provided an elegant and timeless backdrop for Joanna and James’ special day recently. 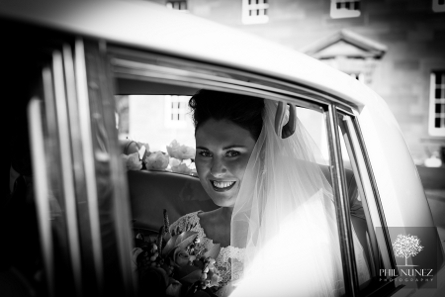 Joanna arrived in a showstopping classic car. 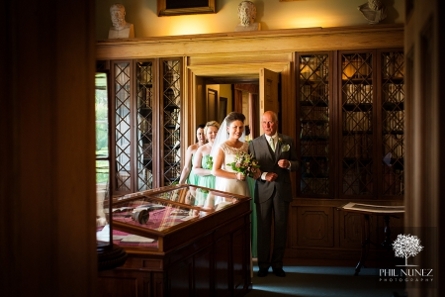 Pausing outside the Picture Gallery with her father and three bridesmaids who wore heavenly green dresses. The Picture Gallery is sensational and houses a collection of over seventy paintings dating from the late 18th and early 19th centuries, many of which have been loaned by the National Galleries of Scotland. 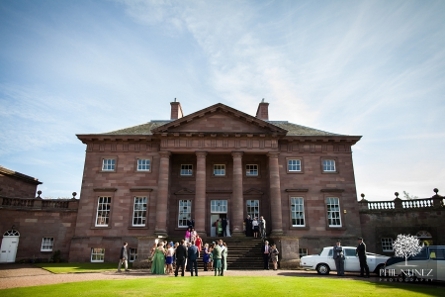 It’s one of the very few houses in the Scottish Borders that can accommodate up to 150 guests for a ceremony and dinner. 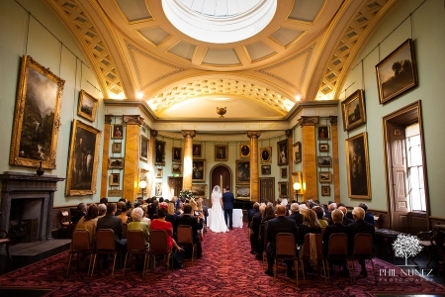 This lovely image shows the scale and grandeur of this fabulous room. Walking out at the end of the ceremony. Paxton has the most incredible reception rooms with an outstanding collection of Chippendale furniture. 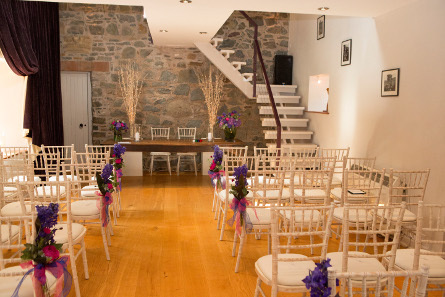 Drinks receptions are held in these rooms and guests can take in the fascinating surroundings. The magnificent steps at the front door. Despite its size, Paxton has got a lovely friendly and warm atmosphere. 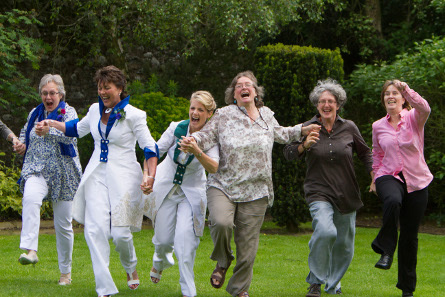 It’s supported and loved by many people, many of whom volunteer to work in the house and grounds. There are so many photo opportunities. 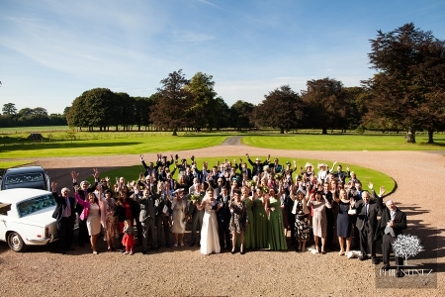 Here’s a great group picture taken from the main steps towards the beautiful parkland. 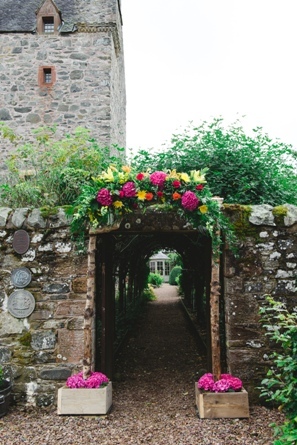 A pretty entrance to the gardens. 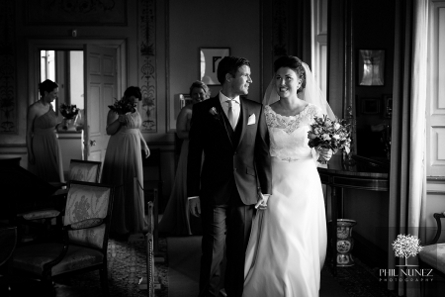 Wishing Joanna and James every happiness in their future lives together. With many thanks to Phil Nunez for the images in this post. Contact Phil Nunez to see more of his classic and documentary-style photography. Blogging has been around now for some years and is a great way to find out what’s new and interesting in the wonderful world of weddings. 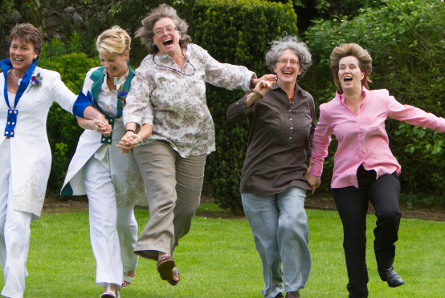 How brilliant then, for Wedding Magazine to initiate the first blog awards to acknowledge all the work that these brilliant writers do to endlessly enlighten, inspire us and promote so many fabulous ideas. Here’s the list of winners, so if you want to keep up with the best, check out what they have to say! We were delighted to be able to get involved in this prestigious event by creating 15 special buttonholes for the VIP goodie bags. Each one was different, some for the girls and some for the boys. 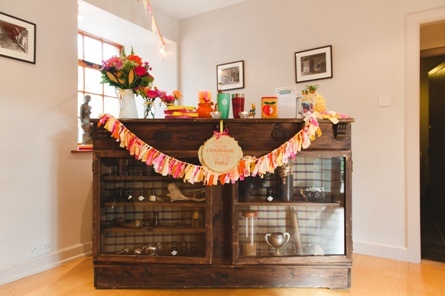 It was a lovely opportunity to use a quirky mix of materials and to showcase how individual you can make them. 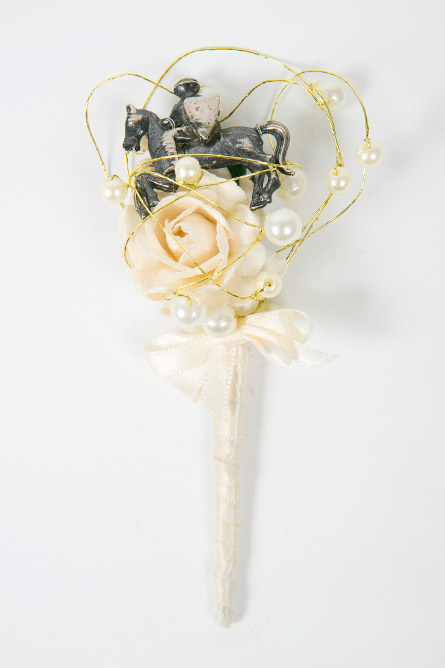 We’ve got quite a collection of brooches and accessories, so we picked out some interesting little numbers such as this ‘love bird’ and perched him on top of an ivory rose looking back at a pearl and gold wire heart. 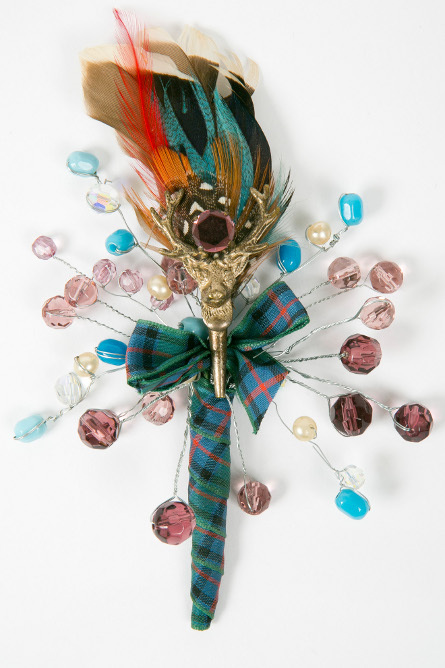 For the more flamboyant (and Scottish) groom, how about this stag’s head and feather brooch. 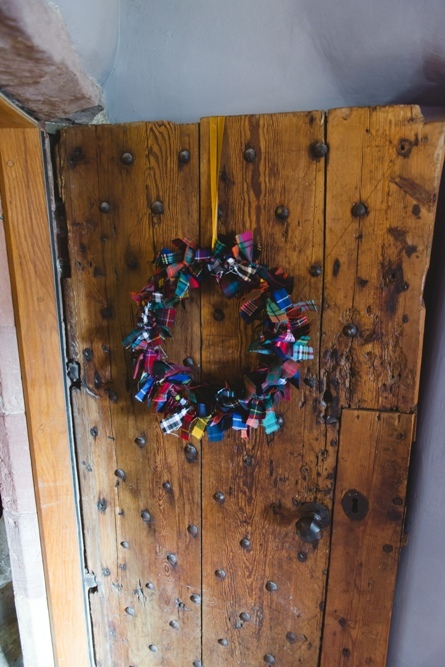 We wired up little beads, pearls and crystals in complementary colours and finished with a tartan ribbon. 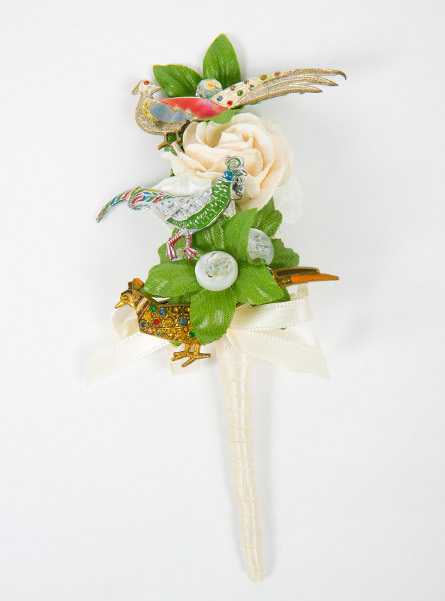 And for the sporting enthusiast, three little vintage pheasant brooches, lurking in the greenery! 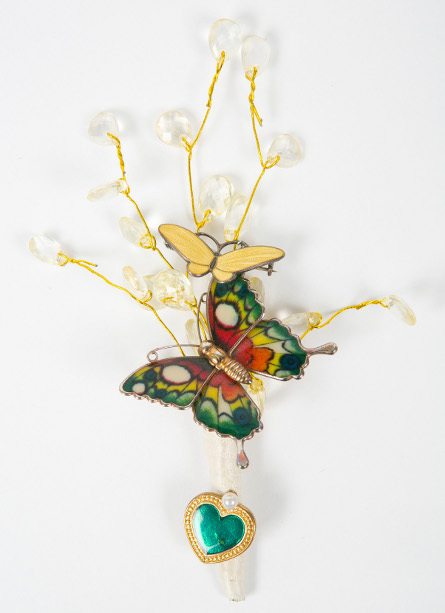 It never ceases to amaze us how many different brooches we keep finding, each one a little masterpiece. 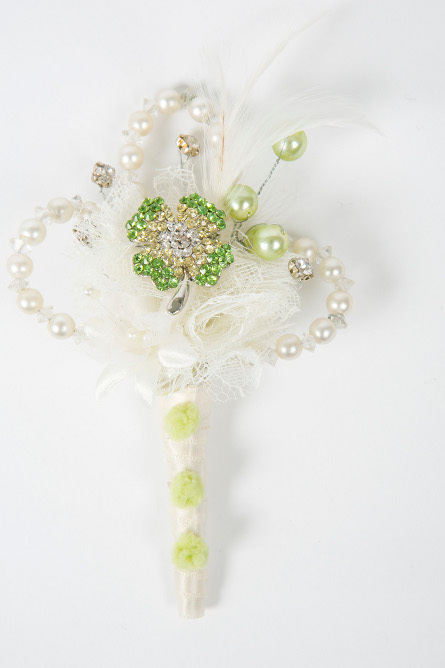 This buttonhole we named ‘knight in shining armour’. 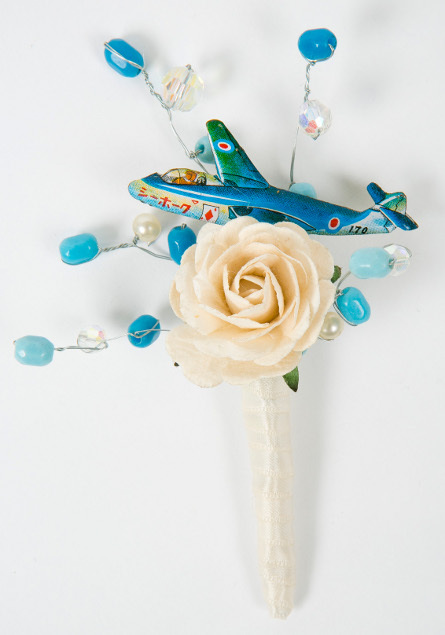 … and for any flying enthusiasts or pilots out there, how about this buttonhole. 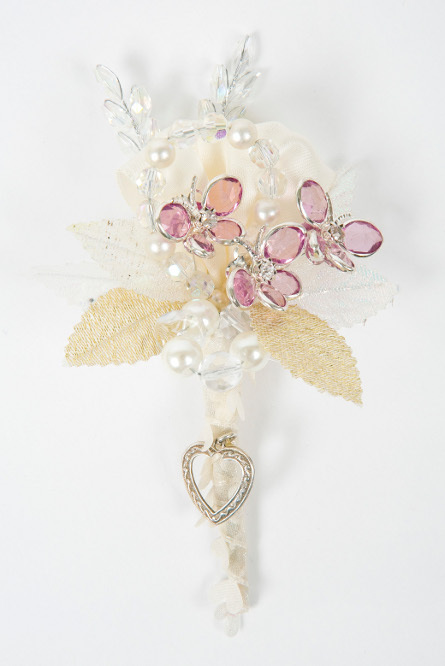 We’ve made loops of pearls and crystals and used a pretty four leaf clover brooch for this example. 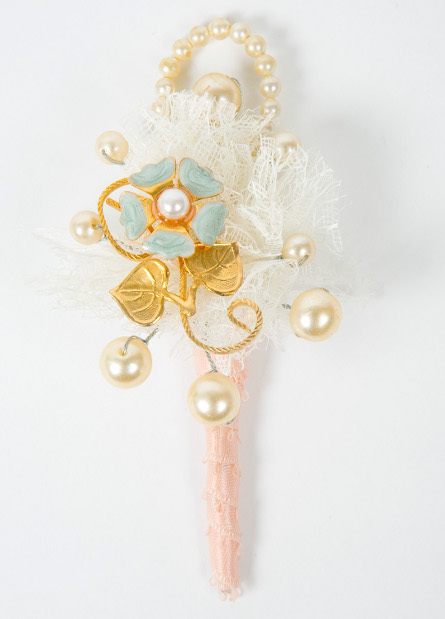 This feminine buttonhole has a really pretty pale blue flower brooch to which we we’ve added pearls, lace and a subtle pale pink ribbon to finish. Butterflies are always popular and here are two hovering together. We found a little green heart to add to the stem. 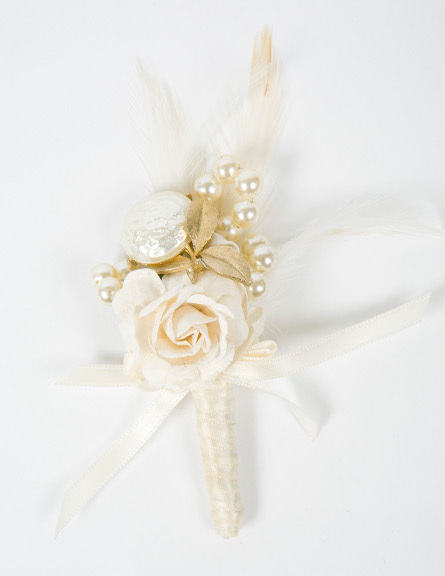 This beautiful brooch in gold would look perfect on almost any outfit and we kept it simple with some ivory feathers and pearls. 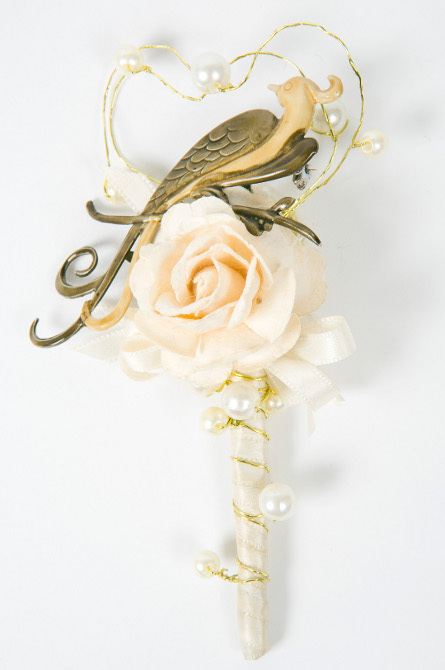 An intricate carved bird in this mother of pearl brooch was the inspiration for the final buttonhole to which we added pearls, little flowers and finished with an ivory ribbon. Big thanks to www.aikmansmithphotography.com for the images. 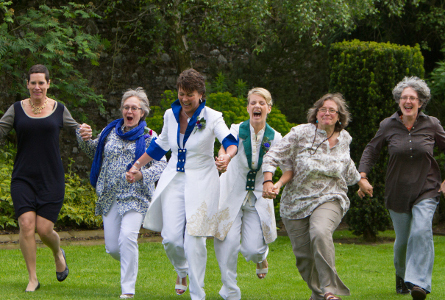 Donna and Penny’s Civil Partnership at Aikwood Tower earlier this summer, was a joyful and colourful occasion. 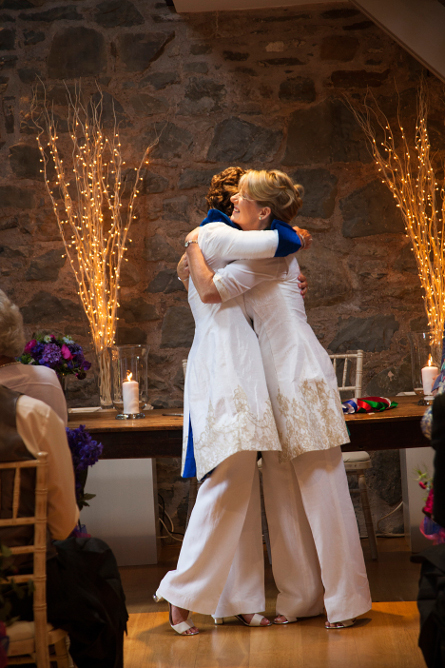 Their ceremony in the Laich Hall was conducted by Humanist Celebrant, Susan Douglas-Scott and Scottish Borders Registrar Pam Douglas and was a wonderful mix of warmth, humour and poignancy. 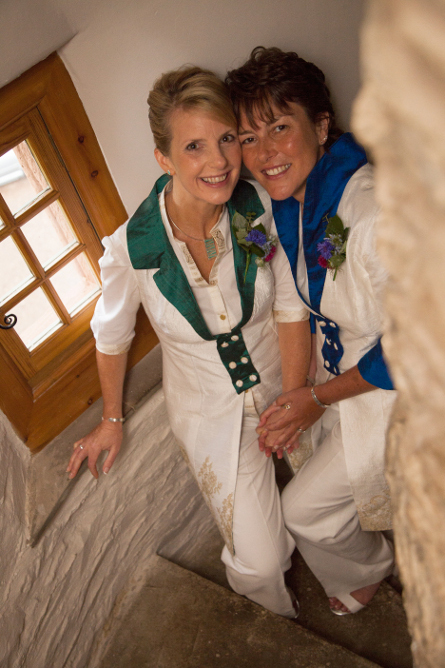 Donna and Penny had a beautiful colour scheme which they wove into their invitations and flowers. 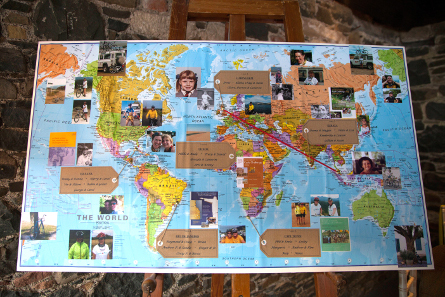 Donna and Penny met through their love of cycling and the table plan was based on their cycling experiences in many countries. 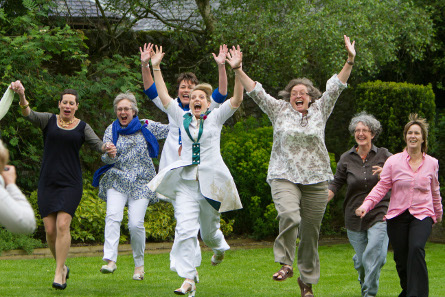 They also raise money for charitable causes and are off soon to Vietnam to raise money for the Carerers Trust. It’s a fantastic cause. 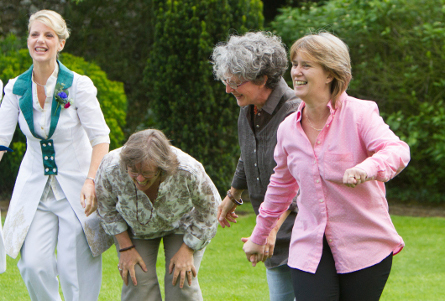 Check out Carers Trust if you’d like to help. 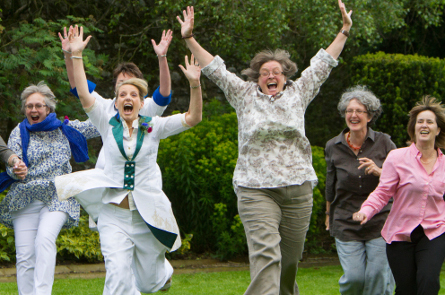 We absolutely loved the following sequence of shots that Sheila Scott took in the garden! 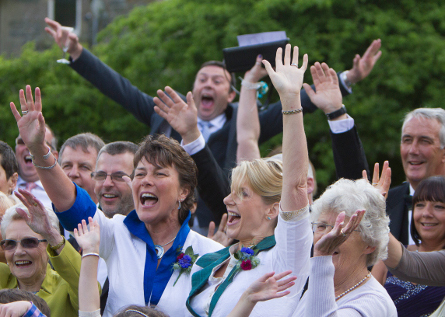 Everyone was in high spirits and it was a real highlight to be involved in this happy day. Happy cycling Donna and Penny! Many thanks to Sheila Scott for the images. We love creative projects! 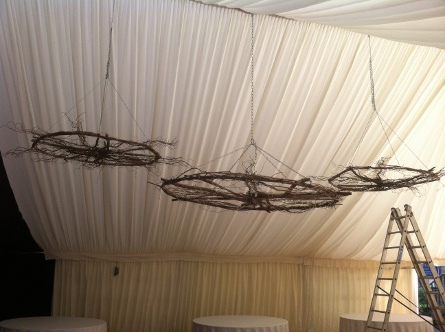 We made these rustic circles as a central focal point for a country marquee wedding recently. 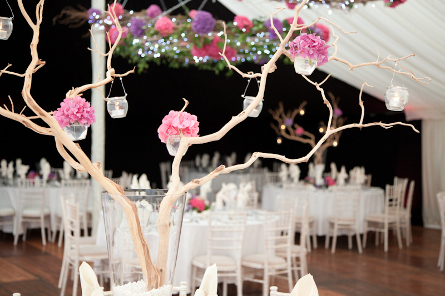 The centrepiece was a 6′ diameter circle combining driftwood and twisted hazel. 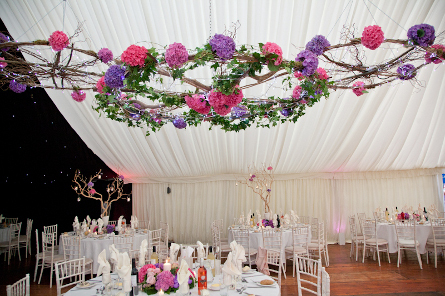 Little lights, ivy and hydrangeas in beautiful shades of purple and pink, added a fabulous splash of colour against the ivory linings of the marquee. 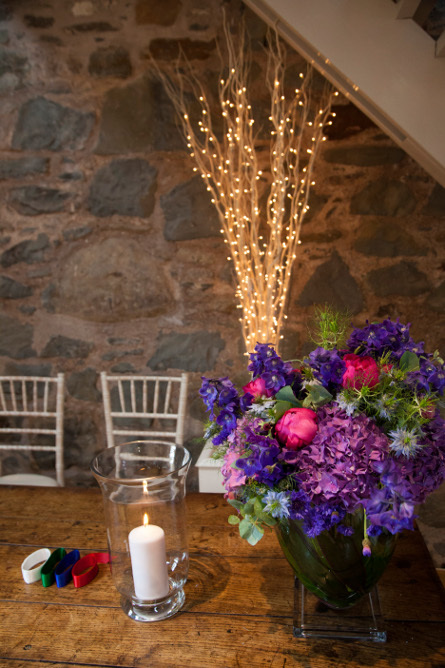 We used our natural, sandblasted manzanita branches on the dining tables and hung candles and hydrangeas in small glass jars. 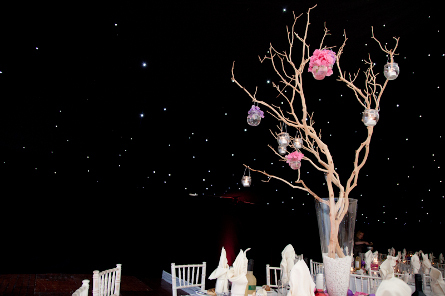 The manzanita branches looked really effective against the black starlight cloth. 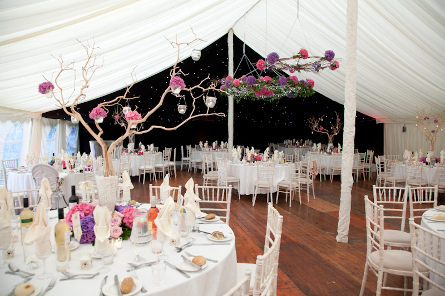 At the base of each tree were hydrangeas, orchids and pink roses for further colour. 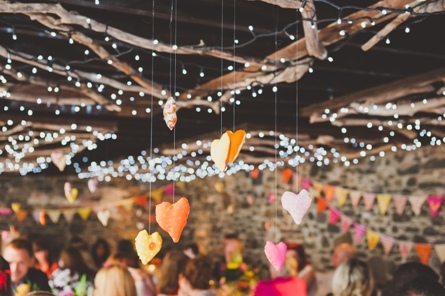 The circles with fairy lights are available to hire, contact us for further details. 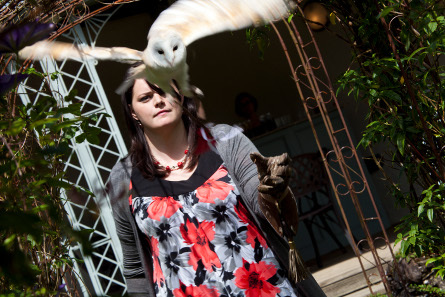 Many thanks to Sarah at Pictorial Photography for the lovely images.